Are Trump And U.S. Intelligence Community Headed For A Showdown? There's a growing sense that Donald Trump and his inner circle may regularly ignore or undermine the intelligence community. Here's how intelligence professionals might respond. President-elect Donald Trump has been dismissive of the intelligence community for sounding the alarm on Russia's interference in November's election. There's a new narrative solidifying in Washington: President-elect Donald Trump distrusts the U.S. intelligence community because it's been sounding the alarm on Russia's interference in the November election. In turn, this feeds a growing sense of dread among U.S. intelligence professionals that the president-elect and his inner circle will ignore or undermine the intelligence community at every opportunity. The intelligence community certainly has reason to be concerned. Trump's goal to slash and restructure the CIA and Office of the Director of National Intelligence was reported by the Wall Street Journal Wednesday, the same day the president-elect raised doubts about U.S. intelligence in a tweet citing WikiLeaks founder Julian Assange. A day earlier, Trump elicited alarm after he tweeted disparagingly about a classified briefing he is due to receive this week. But it's doubtful there will be a major conflagration between the president and the national security bureaucracy during the Trump administration. The intelligence community is likely to back down from a major conflict with its boss, the president, and its overseers, Congress — because the disincentives to upset one's superiors are so numerous and ingrained. This is not the first time the intelligence community in general, or the CIA in particular, has faced scorn — or worse — from a president or president-elect. Richard Nixon famously disliked the CIA and was skeptical of its analysis. Nixon once told his Director of Central Intelligence James Schlesinger, "Get rid of the clowns. What use are they? They've got 40,000 people over there reading newspapers." Within three months, Schlesinger pushed out 10 percent of the workforce. Yet the agency survived to fight another day. The intelligence community has traditionally served as a convenient scapegoat when policymakers' decisions go south. There's an old saw in Washington: In this town, there are only two possibilities: policy success and intelligence failure. 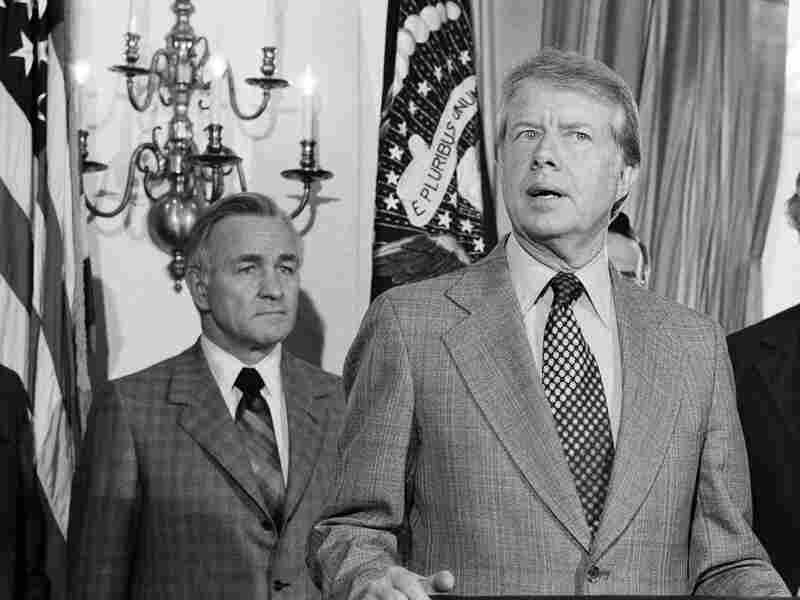 President Jimmy Carter spells out his plan for reorganization of the U.S. intelligence community in 1978. CIA Director Stansfield Turner (left) later fired hundreds of CIA employees in what was dubbed the "Halloween Massacre" of 1979. We think of the Iraq WMD debacle primarily as an intelligence failure. And Trump's communications staff certainly thinks so, as it resurrected the issue to dismiss a Dec. 9 Washington Post report that the CIA had assessed that Russia was trying to help Trump win the White House. "These are the same people that said Saddam Hussein had weapons of mass destruction," the Trump statement said. But remember, it was a policymaker's decision to actually go to war in Iraq. So the intelligence community has played this role of whipping boy before and will very likely continue to play it in the Trump administration. And there probably won't be a showdown. People will grumble, but will go back to work. Most intelligence collection and analysis is a job as potentially interesting or humdrum as anyone else's. Despite the classified nature of the "industry," people still collect data, type on computers, fill out forms and try to make sense of the world around them. One can often forget that the intelligence community is made up of professionals who lead regular lives. Sure, they hold top-secret clearances, but they have mortgages and car payments, lawns to mow, children to take care of, vacations to plan. They are civil servants with a secure, middle-class American lifestyle that would be jeopardized if they quit their jobs. That said, there may be some who could try to undermine Trump by leaking embarrassing documents and committing criminal acts in the process. Certainly in an industry where millions of people hold security clearances, there will be some who could try unilaterally to take action (how's January in Russia, Edward Snowden?) to effect change or cause disruption. A few people might also just quit in protest. But those willing to do this to stick it to the president are few and far between. Most people will not throw away their life's work. Still, there's a large exception that may arise if the president asks the intelligence community to do something that is clear-cut illegal and immoral — say, commit obvious war crimes. On the campaign trail, Trump claimed that "torture works" and said he favored tactics like killing the families of terrorists. He later appeared to flip-flop on torture after discussing it with his defense secretary nominee, Gen. James Mattis. But if he changed his mind again, it would, of course, be members of the military or the intelligence community who would carry out these deeds. And in such a case, all bets are off. Treat the intelligence community badly — well, that's par for the course. But if the events of the last 15 years have taught this generation of intelligence professionals anything, it's that one's sacred honor might be sacrificed for reasons beyond one's control. Assuming there is no white-hot conflagration between the new president and the intelligence community, a slow degrading of our intelligence capacity during a time of unprecedented global challenges may be a more likely — and worse — long-term outcome. The director of national intelligence, James Clapper, recently noted that right now, America is "facing the most complex and diverse array of global threats that I've seen in my 53 years or so in the intel business." Perhaps otherwise motivated intelligence officers with specialized skills will redirect their energies into other careers if they disagree with the direction of a Trump administration. 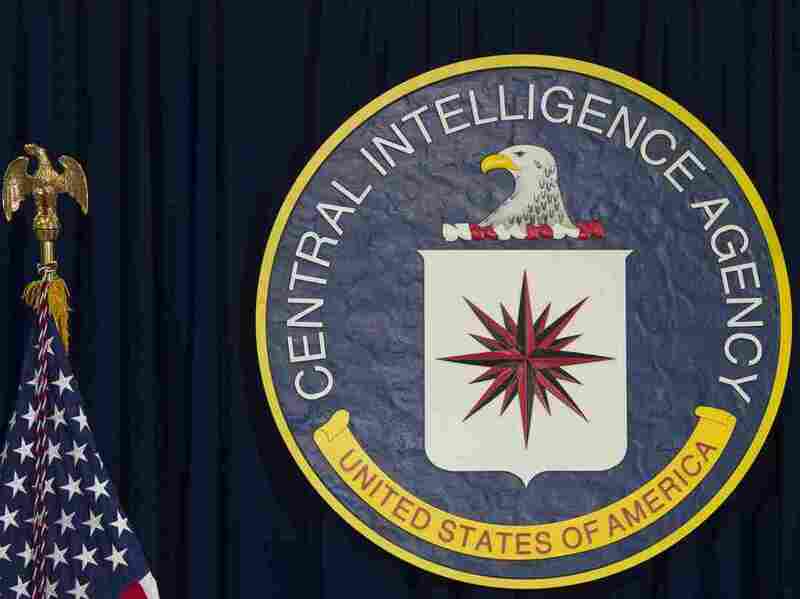 The CIA publicly acknowledged in 2015 that it continues to struggle, despite numerous years of trying, to recruit and retain minority officers. If there's, say, real anti-Muslim or anti-Hispanic sentiment sweeping through the intelligence community because of the words and deeds of senior leadership, talented people will vote with their feet, ultimately damaging our long-term national security. So does this all end with a bang or a whimper? Or not at all? Clapper is confident, because of the intelligence community's mission and professionalism, that it will be a "pillar of stability" during the presidential transition. We'll find out when the first national security crisis occurs under Trump's watch. And if the past is any indication, a crisis (or two or three) will explode soon after he takes the oath of office.